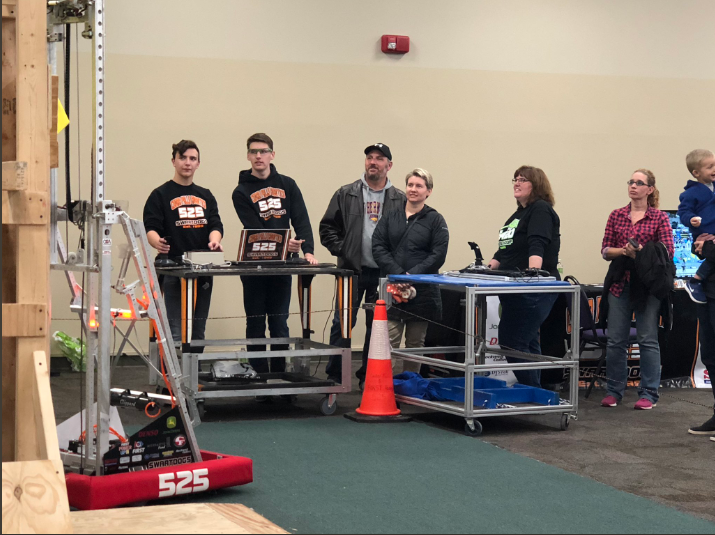 November was filled with volunteering and fun for FIRST Robotics Competition team 525 the Swartdogs. 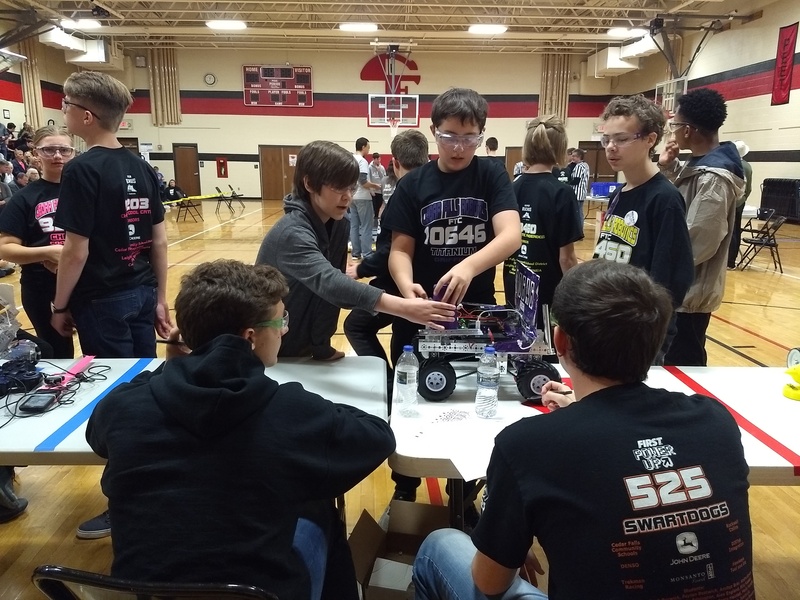 On November 8th, we exhibited at the Cedar Valley STEM Festival. 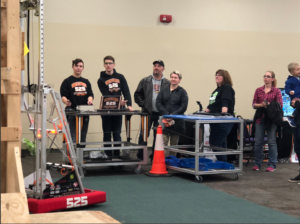 We demonstrated our robot, showed match video, and talked to attendees; all efforts with the goal of introducing attendees to FIRST. Later in November, we sold football programs at the Iowa high school football state championship games as a team fundraiser. A percentage of each program sold went towards our team. 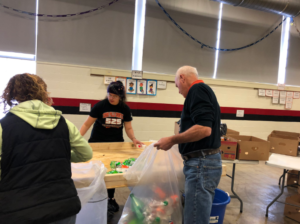 On Saturday November 17th, we were double booked with two volunteer events. 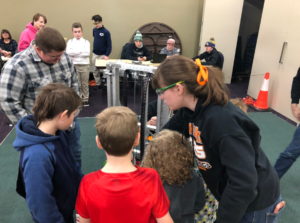 Several of our team members served as querers and field reset crew at a FTC League Meet, which all 6 of our school’s FTC teams were participating in. Other team members helped at with a pop can drive at one of our elementary schools, Orchard Hill, in an effort to raise money for their new playground.